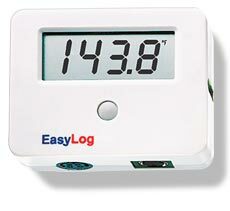 Easy to install on a Windows 2000/XP platform, the OM-EL-WIN Easy Log control software is needed to enable the user to configure and operate any OM-EL data logger and is supplied on a 31/2 disk with a manual and serial link cable. Allowing up to eight loggers to be operated as a network, the OM-EL-WIN software includes automatic prompting for ease of use, a mimic mode which allows remote indication on the PC, extensive graphing facilities and the facility to export data directly into popular spreadsheets such as Excel. Nota: All data loggers come with complete operator's manual and sensor mating connector. RS-232 cable is supplied with Easylog Software.